Holiday travel woes – how can insurance help? Going on holiday should be a fun experience, but when it goes wrong, it can be a nightmare. 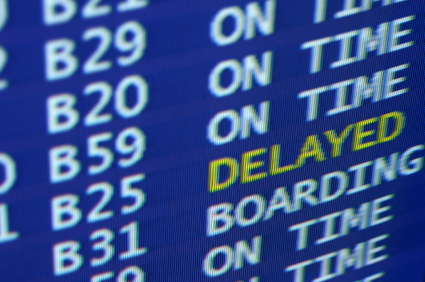 Knowing what to do in case of delays can save you money and heartache, so read on to find out more. What happens when you’re uninsured? Depending on who you book a trip through, without travel insurance you may suffer major financial cost, or at least only have the option to change your travel plans to another date, rather than getting any money back. But what could those who had been sensible and taken out cover expect? And what should they do if they experience delays? What to do in case of delay? Short delays – If the delay isn’t great, and it doesn’t mean you’ll miss any connections, then you’ll just have to stick it out, at least initially. Transport connections – If the delay is longer, or it looks like you’ll miss connecting transport at the destination, then get in touch with the company you booked through and see if they could get you there any other way (taxi even!). It may be that they’ll arrange for you to be able to use your ticket on a different plane, train, coach or boat so you can still match up with the onward connection. Keep receipts – Make sure you keep receipts for any food, drinks or toiletries you buy in case the delays stretches on and you’re able to claim the money back. Delayed baggage – If it’s your baggage that’s been delayed, ensure you give the company you’re travelling with the correct address for where to send it, if it’s going to take too long and you can’t hang around. When to contact your insurer – If the delay becomes seriously inconvenient, contact your insurer as soon as possible to tell them what’s happened. If you miss connecting transport, your holiday is cancelled completely and/or you have to stay somewhere overnight, or have to pay extra to get home, you should be able to put in a claim for it. Overnight accommodation (up to a maximum number of days and nights, and a maximum sum per night). Payment for a certain number of hours of a delay, grouped together (such as £35 for each 8 hours delay). Additional travel costs incurred (up to a maximum cost). Food and drink (up to a maximum cost). The cost of cancelled holidays when it’s a company’s fault, such as a flight or holiday company going bust, cancelled flights etc. This figure might typically be around £6,000 to £8,000. Delayed baggage which means you have to buy clothes and toiletries while you haven’t got your bags. Terrorism, riots & civil unrest – Check your policy carefully for the clauses on these particular issues, and always contact the insurer before you fly out if you are unsure about the destination you’re flying to. Always check the travel advice from the Foreign & Commonwealth office before travelling. Extreme weather – Summer brings the risk of tornadoes in many tropical locations, however, you will have to demonstrate that the bad weather stopped you reaching your destination. Travel companion testimonies, rescue service call out receipts, train and bus company receipts (which give the time of travel), time and date-stamped photos will all help your case. Giving up on travel plans due to delay – If the delay is going on and on, and you feel like going home and giving up, check with your insurer first. If you don’t, and the delay hasn’t yet been long enough (insurers rules differ), you might not be able to claim. Illness, bereavement, jury service and redundancy – If these types of events mean you don’t go on a holiday, a reasonably good travel policy should cover the cost if you claim. Policy Expert is an online Insurance broker, dedicated to helping customers find the insurance policy that’s right for them. Our customers are at the heart of everything we do, so we have a team of experts with a real passion for making sure people get the cover that’s right for them. Policy Expert is driven by a desire to help you find not only the best value insurance, but the right insurance for your individual needs. For a travel insurance quote, speak to an expert today on 0330 0600 603.